Category: LDS Non-Fiction Publisher: Cedar Fort Inc.
Not everyone who visits the spirit world stays there. 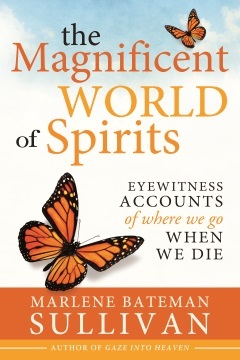 This detailed book about the spirit world gives fascinating glimpses of life beyond the veil by people who visited the spirit world during the early years of the Church. Filled with stories of insight and inspiration, The Magnificent Spirit World is a stirring book that combines fascinating personal experiences with scripture, perceptive commentary, and quotes from latter-day prophets and other leaders. This book will bring you peace as you come to understand what awaits us on the other side of the veil. After reading this book, you will never think of life—or death—in the same way.